There is an entry signal for this penny stock. For intra-day trading only and exit once the profit is good. 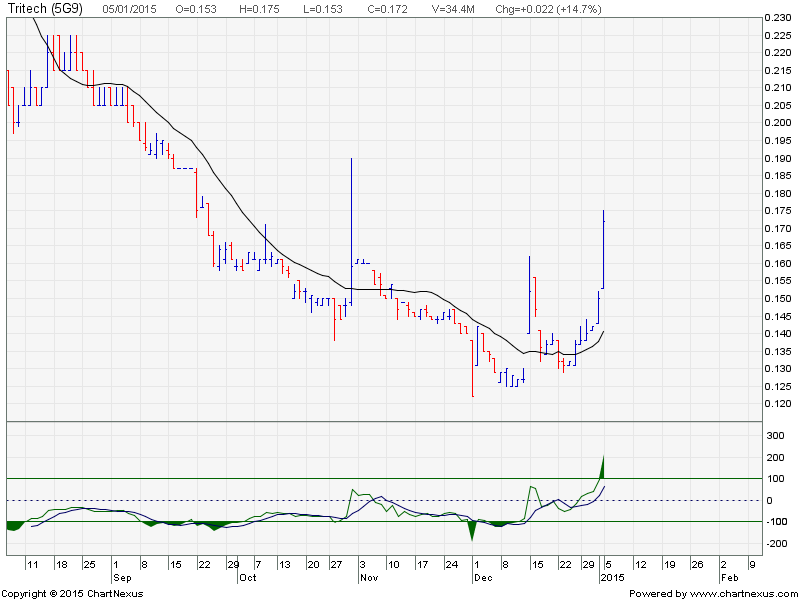 Today, Tritech gapped up with a huge volume. 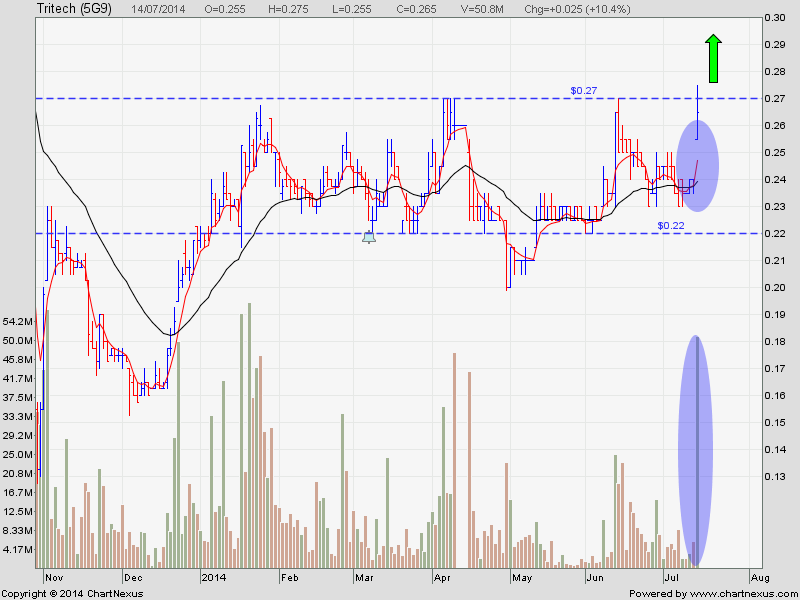 This stock may start to run again after resting/ranging for 6 months.